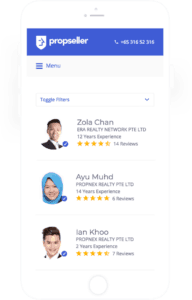 Home » Blog » News & Market Update » Propseller raises S$1M in Seed Funding to Help More Property Owners Rate and Compare Property Agents. 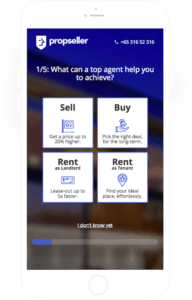 People looking to engage the service of a property agent uses Propseller to find the best-performing ones, eventually helping them to save time and achieve better results. 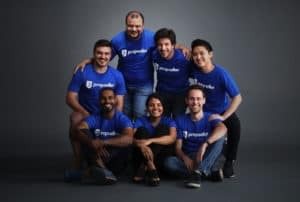 Singapore / December 6th, 2018 – Propseller, a Singaporean startup that helps prospective property sellers and landlords find and compare the best property agents, today announced it has closed a S$1 million seed funding round from industry entrepreneurs and senior executives. The funds will be used to accelerate its growth and further develop its technology focused on a “transparent approach” to select an agent using independent reviews and agents’ track records. This goes hand in hand with the “Industry Transformation Map” announced in february 2018. Along with the founder Adrien Jorge, a former Groupon senior executive and property investor, the team of 7 has already put up for sale and rent a staggering combined property value of S$500m within only 12 months. With 30,000 registered property agent in Singapore, 2.7 times more than doctors, how would a property owner looking to sell or rent select the good agent(s), the one(s) providing great advises, closing a deal fast and at the best price? Looking for advertisements or for recommendations from relatives or friends could be an option but is this thorough enough? May be not. “Too often, owners waste time with unprofessional agents not delivering.” says Adrien Jorge, the founder of Propseller, previously general manager at Groupon for South-East Asia and owner of 5 properties. He sheds lights on a situation he experienced himself “It happened to me 3 times until I found reliable property agents.“ According to him, the issue would be with “transparency and accountability” missing in the industry. An observation shared by the Singapore government, with second minister Mr Desmond Lee announcing earlier this year the Real Estate Industry Transformation Map which part of aims at setting the ground for more transparency about property agents track record. Consumers seeking quality and transparency can now use Propseller to compare individual agents. 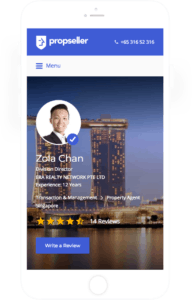 The startup is the first and only independent player that collects and verifies ratings and analyses historical transaction data of agents from any agency in Singapore. Within one minute, the user is presented with a list of the best 3 to 10 estate agents based on both the given criteria and agents’ track record while receiving advices on fair commission. “To successfully sell an HDB in Tampines and to rent a condo in Orchard, you need two very different types of agents. 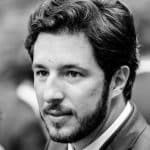 Nevertheless, in both cases, you need to engage a top professional with a track record of success rather than a part-timer desperately trying to do his best.” says Adrien Jorge. With the Council of Estate Agents planning to publish all property agents’ transaction records by the end of 2018 for HDB and by the end of 2019 for private properties, the company said it will use the funding to get prepared to “transform this larger available dataset into clear recommendations for the consumers”. Apart from that, it is looking at playing a deeper role in the consumer-agent relationship. “For now, we are helping people differentiate top from bad agents because what matters most is transaction price and speed; but there are other things we are working on.” said the team. About Propseller: Propseller is the first “search-to-engage” property agent marketplace in Asia. The company uses clients’ reviews, historical transactions, and commission rates to match you with your best property agent, the one(s) making you achieve the most with your real-estate sale or lease.